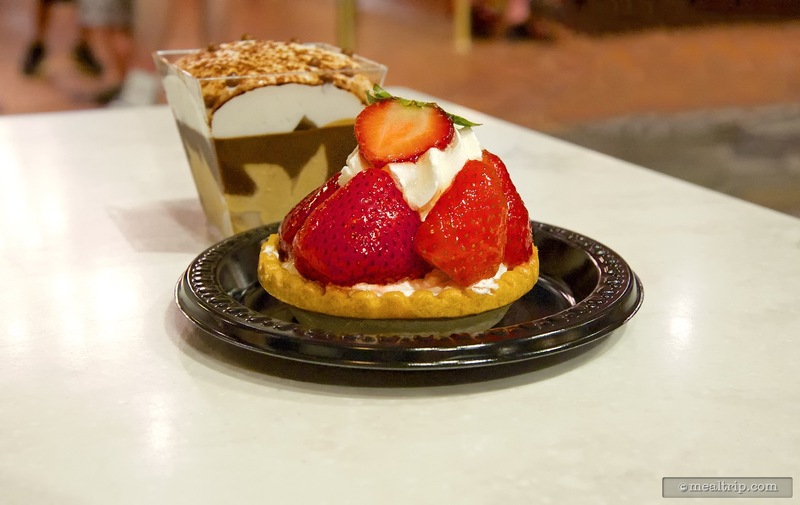 The Les Halles Boulangerie & Patisserie listing is a Counter Service (quick service) dining location at Epcot featuring French, Sandwich and Salad and Dessert or Ice Cream cuisine. There are 5 photos in the Mealtrip photo gallery for this location and dining period. 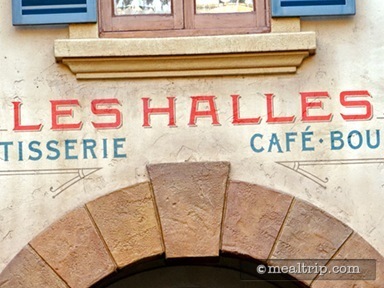 The Les Halles Boulangerie & Patisserie listing currently has a score of 86 out of 100. Click here to read all of the reviews for this location, or log in to Mealtrip.com to add your own review for Les Halles Boulangerie & Patisserie. 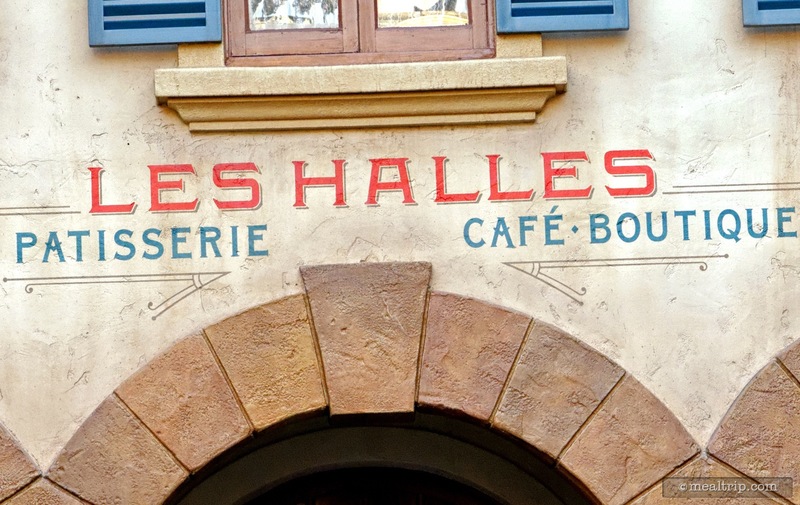 Exterior sign above the entrance to Les Halles Patisserie in the back of Epcot's France pavilion. Fraises - A strawberry topped vanilla cream pie, (there's a cafe liegeois mousse lurking behind the pie, which is a different dessert). 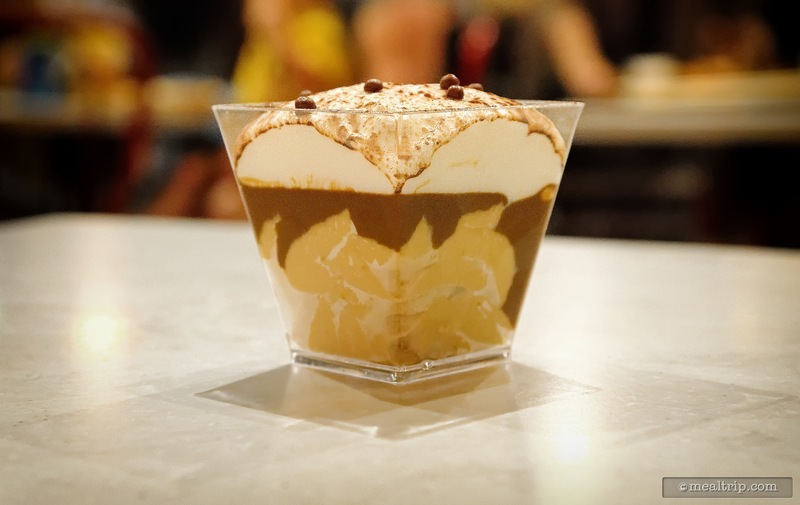 Cafe Liegeois - Coffee, chocolate and cream mousse. 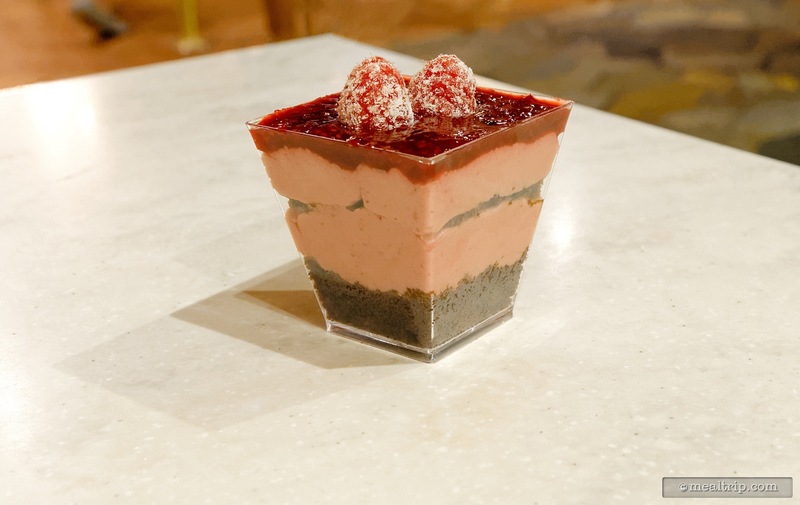 Framboise - A raspberry mousse on top of chocolate cake. 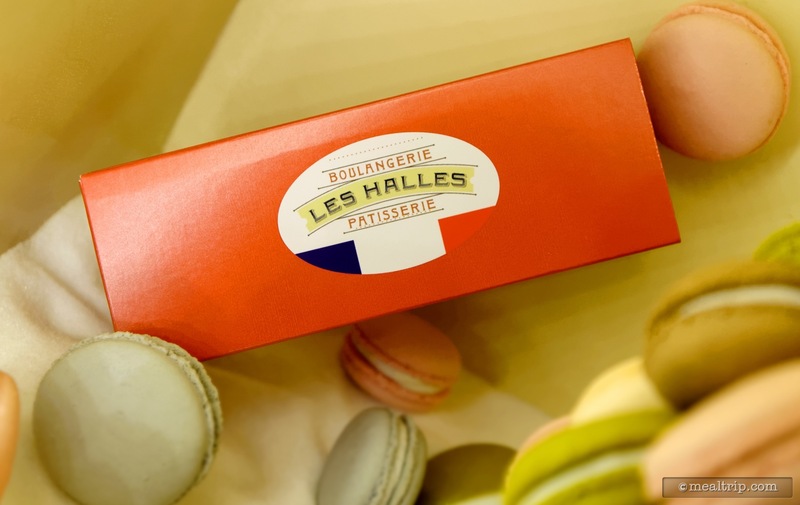 French Macarons box from Les Halles Patisserie.